This is the WTA version of "10 American Teenagers to Watch in 2015 (ATP)". I'm not as knowledgeable in this field so I inquired some names from @rrjuki and @jokelly_tennis (thanks guys!). There were so many names and it was tough to narrow the list down to ten so I decided to exclude players who turn 20 years old in 2015. This list focuses on the 1996 born players and younger. 2014 Highlights: Since ending 2012 as the world top-ranked junior, Townsend’s ascendant to the professional rank was steady despite her weight struggle. The former Junior Australian Open champion jumped 574 ranking spots over the span of two years to a career best of 102. Under the watchful eyes of the 1990 Wimbledon finalist, Zina Garrison, Townsend won two $50K titles in Indian Harbour Beach and Charlottesville to score the 2014 USTA French Open wildcard. In her grand slam debut, the 18 year old defeated fellow American Vania King and later upset World No.24 Alize Cornet (FRA) before falling to Spaniard Carla Suarez Navarro (WTA 15). She also received wildcards into Wimbledon and US Open, but fell in the first round to Klara Koukalova (CZE) and 18-time Grand Slam champion, Serena Williams, respectively. Earlier this year, the powerful left hander claimed her first premier win over Italian Karin Knapp at the BNP Paribas Open in Indian Wells and made the doubles finals at the Citi Open in Washington D.C., partnering Eugenie Bouchard of Canada. 2014 Highlights: Unlike her former Junior Fed Cup teammate, Townsend, Louisa Chirico’s rise up the ranking was quiet and more traditional. The 18 year old New Yorker spent most of 2014 playing ITF tournaments, a rung below the glamorous WTA tour. On her beloved red clay, she won the $25K at Padova in Italy and a week later, reached another final at the $25K Lenzerheide in Switzerland. After returning to the United States, Chirico reached the semifinals of $50K Carson and $75K Albuquerque. 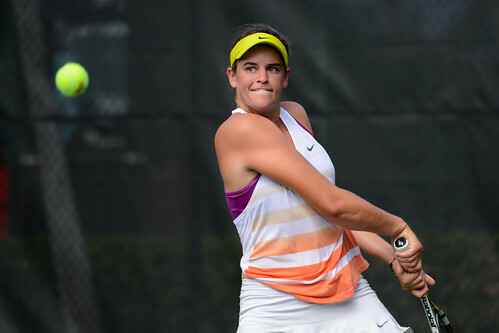 The former Junior Roland Garros and Wimbledon semifinalist topped WTA 168 María Irigoyen of Argentina in qualifying round one of the US Open. She was the top seed at the USTA National Championship in San Diego, where she advanced to the semifinals. 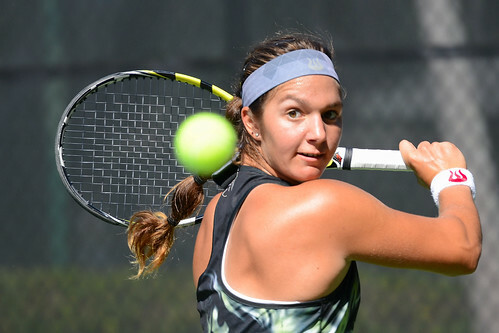 Chirico, who trained with the USTA the last several years, announced her decision to forgo college tennis and signed with Octagon Sports Agency over the summer. 2014 Highlights: Known to the public as CiCi Bellis, the 15 year old prodigy made a splash at this year's US Open. There, she shocked World No.13 and Australian Open finalist, Dominika Cibulkova of Slovakia, before falling to WTA 48 Zarina Diyas (KAZ) in three sets. Prior to her senior grand slam debut, Bellis won the USTA National Championship to become the youngest winner since 3-time Grand Slam champion, Lindsay Davenport, in 1991. She also lifted the trophies at the Coffee Bowl (G1), USTA International Spring Championships (G1), Easter Bowl (GB1), and Trofeo Bonfiglio (GA) in Milan, Italy. As the No.1 Singles player, Bellis clinched the Junior Fed Cup title for Team USA in September. The Californian reclaimed the ITF Junior No.1 ranking after reaching the Orange Bowl semifinals to end a spectacular season. On the ITF pro circuit, Bellis won back to back $25K titles in South Carolina after shortly working with the famed Nick Bolletieri at IMG Academy. 2014 Highlights: I just broke my own rule of avoiding players born before 1996. Since the UCLA Bruin played two years of college, she's basically a rookie so I decided to make an exception. You can read about her great 2014 season at On the Rise's Team USA Second-Half Awards!! Part 2: The Women. 2014 Highlights: In 2014, the 17 year old Rafa admirer from Miami played all of her tournaments in the United States. Stewart held a 30-2 record on the junior circuit and won four titles including the 16s Easter Bowl and the 18s National Clay Court Championships in Memphis. She also reached the semifinals of the Junior US Open. At the US Open Women’s qualifications, the former Junior Fed Cupper and wildcard recipient upset World No. 167 Yuliya Beygelzimer (UKR) in the first round. Stewart, who liked to hit with topspin, claimed three $10K titles on clay in Orlando, Bethany Beach, and Charlotte. 2014 Highlights: The Octagon starlet, who turned pro at age 13, had a pretty decent 2014. Black reached the quarterfinals of the GA Trofeo Bonfiglio, Wimbledon, and US Open in six junior appearances. The former ITF junior No.3 was part of the Junior Fed Cup championship team along with CiCi Bellis and Sofia Kenin. As the USTA National Championship finalist, she was rewarded a qualifying wildcard into the Senior US Open where she defeated British Naomi Broady (WTA 147) in the first round. Black made her WTA tour main draw debut at the Abierto Mexicano in Acapulco, Mexico, as a wildcard entrant. Later, she qualified for the Citi Open, in Washington D.C. On the ITF pro circuit, the 2013 US Open Girls finalist won her second career $10K title in Evansville, Indiana. 2014 Highlights: The aggressive 15 year old Californian, who served 100+ mph at Junior Wimbledon, is a name to watch. Besides reaching the quarterfinals of the British grand slam as a qualifier, Gordon also made the semifinals of two GB1 events at the Easter Bowl and Pan American ITF Championship. She qualified for her first professional tournament at the $25K Rancho Santa Fe in California. Then reached the maiden quarterfinal at $25K Redding, also in her adopted home state. In July, she was granted a qualifying wildcard into the WTA Premier Bank of Classic in Sanford. 2014 Highlights: The 16 year old serve and volleyer from Rochester, Minnesota, ended her season campaign with positives. Neel, a product of IMG Bolletieri Academy, won two G4 titles and reached the quarterfinals of the G1 International Hardcourt Championship and USTA National Championship. She concluded the year at the prestigious Orange Bowl losing to fellow American, Sofia Kenin, in the final. Earlier in June, Neel won her first career professional title at the $10K Amelia Island. 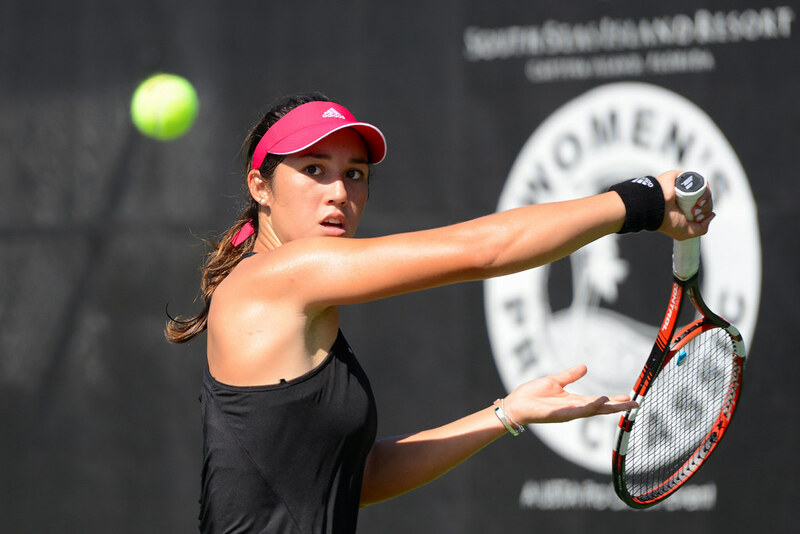 2014 Highlights: The younger sister of former UCLA Bruin, Courtney Dolehide, Caroline had a Cinderella run at the Junior US Open. The 16 year old qualifier upset last year's finalist, Tornado Black, to advance to the semifinals where she fell to eventual champion, Marie Bouzkova (CZE). Other notable junior achievements included quarterfinal of the Orange Bowl (lost to CiCi Bellis in three sets) and semifinal of the Eddie Herr International Championship. The big hitting Chicago native qualified and made her first pro semifinal at the $10K Hilton Head Island. 2014 Highlights: Kenin, who goes by "Sonya", capped 2014 by winning her home tournament, the Orange Bowl. Prior to that, her best junior results were semifinals of the Ecuador Grade 1 ITF, Easter Bowl, and USTA National Championship. As previously mentioned, Kenin won the Junior Fed Cup championship with Bellis and Black. The 17th ranked ITF junior successfully qualified for the main draw of $75K Albuquerque in her fourth attempt at the professional level. Raveena Kingsley (1998) - who at a career high ITF junior ranking of 25, can make a case to be included on the list above. Claire Liu (2000) - the talented 14 year old is young and will more than likely make the list next year. Maria Shishkina (1998) - the return from two wrist surgeries was shaky so next season will be interesting. Usue Maitane Arconada (1998) another talent in the Top 30 ITF junior ranking. Madison Keys, Vicky Duval, Sachia Vickery, Allie Kiick, and Samantha Crawford would be on the list last year if there was one.